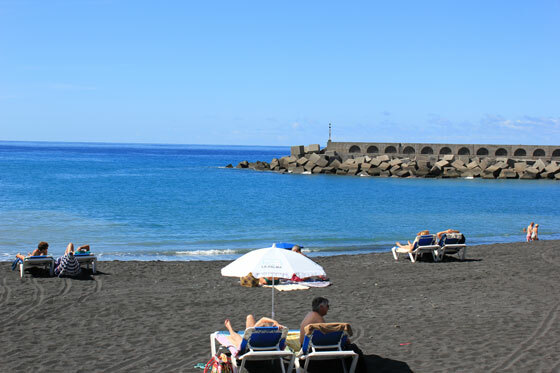 Our website not only offers an overview of more than 500 holiday accommodation for every taste and every budget, we also show how attractive and varied the Canary Island of La Palma can be and give practical tips for travelers. The days are over when only hikers had explored the island. La Palma is becoming a Mecca for trail runners, mountain bikers and divers. The Isla Bonita, born by volcanoes, offers above and under water challenges and surprises. You can explore the beaches on land and the Atlantic Ocean. Three excursion boats are waiting for people who want to see whales and dolphins. Some tourists are going into the air and watching from south to north the changing landscapes. Especially at winter times a lot of paragliders with colourful hang gliders fill up the sky of La Palma. La Palma is with its curvy roads, big differences in altitude and fantastic views a paradise for a relaxed motorcycle-holiday and it lets the heart of every motorcyclist beat higher. Around 1.200 kilometers of roads guarantee driving pleasure. Drivers can choose between the major roads of the island and smaller roads. Currently the models Honda FMX 650, Honda MSX 125, Kawasaki ER6n and Yamaha FZ6 S2 are available. Helmets, jackets, gloves and kidney belts can be also rented for a fee at La Palma 24. For all those who rents a motorcycle with La Palma24 is on the safe side - not only regarding the optimal maintenance of the machines. 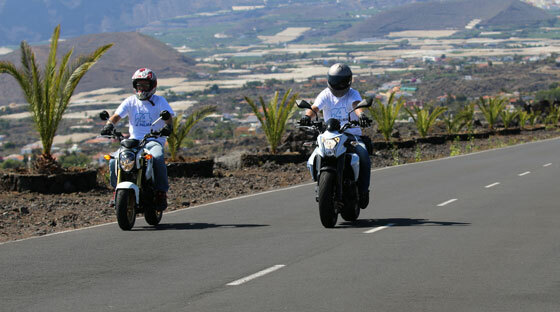 We also give tips and information about the Island to our customers, because some members of the La Palma 24 team are avid motorcyclists. Our online magazine publish constantly news, tips where to go at evenings, and reports about La Palma, as well timeless background stories about the country and people. We hope you enjoy reading our Journal and we wish you an exciting stay on La Palma!